CLINICAL HISTORY: S.W. 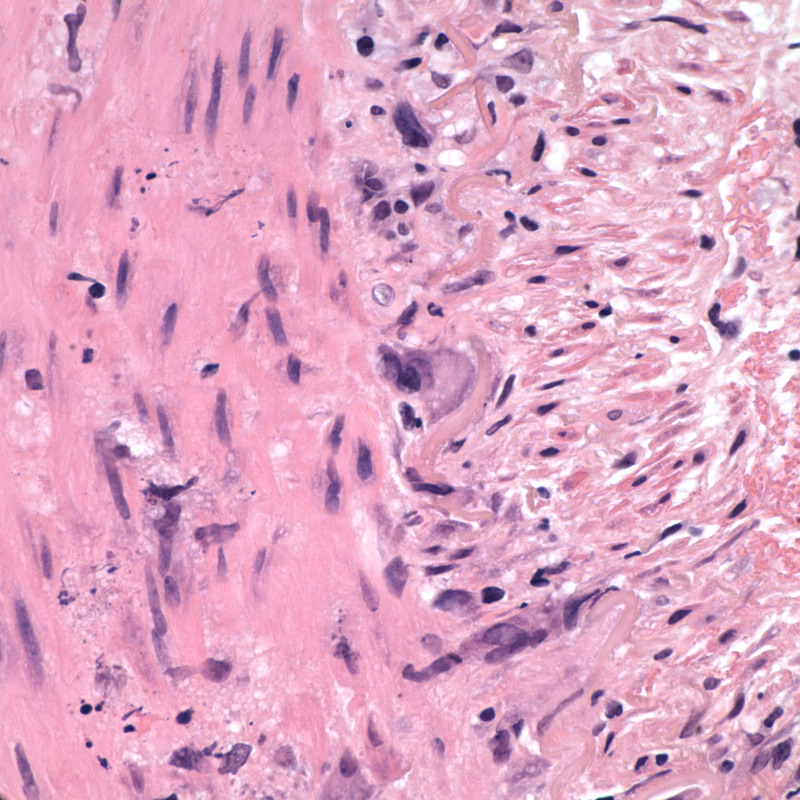 is a 66-year-old Caucasian female who presented with 4 episodes of transient R sided vision loss, a 5-day history of worsening tip of tongue burning, and a 1 month history of non-pulsatile headache mostly of occipital distribution with scalp tenderness at 'veins' noted while combing her hair. 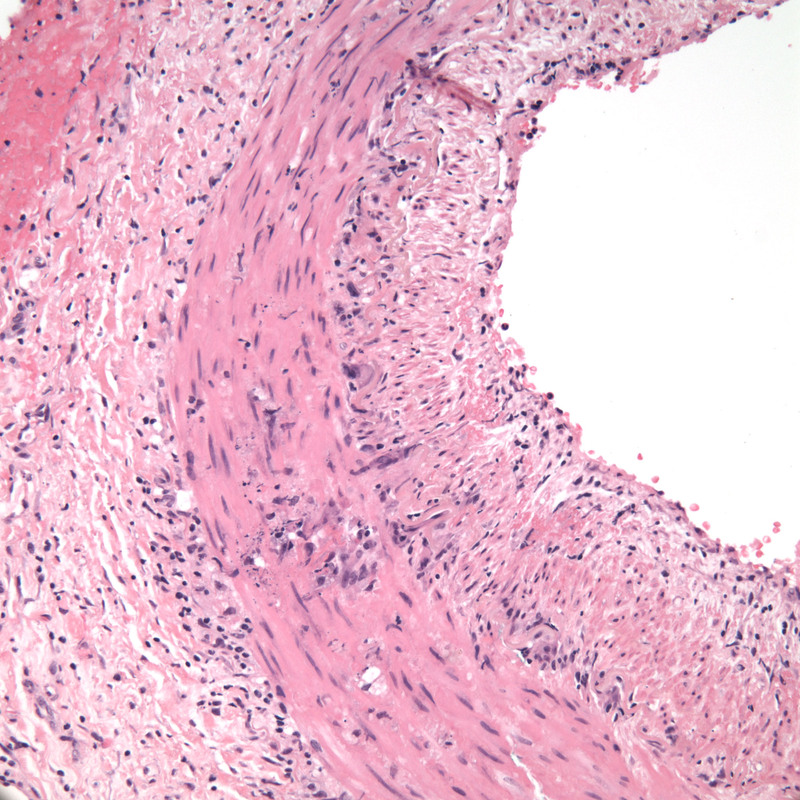 She was found to have elevated LFTs, ESR and CRP. 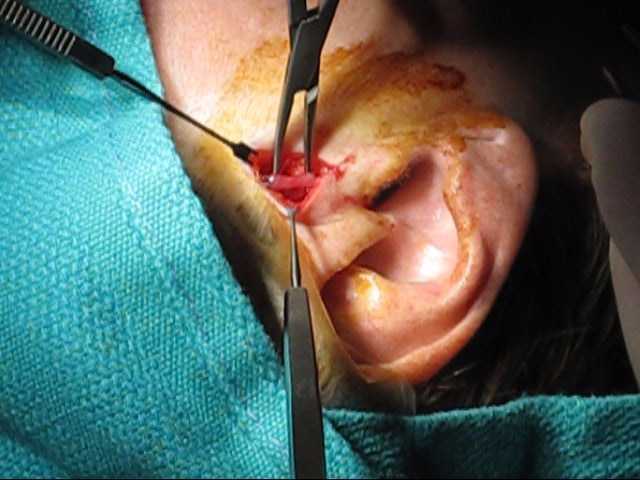 She had a total thyroidectomy 2 weeks prior to presentation for papillary thyroid carcinoma with neck dissection revealing disease metastatic to lymph nodes. 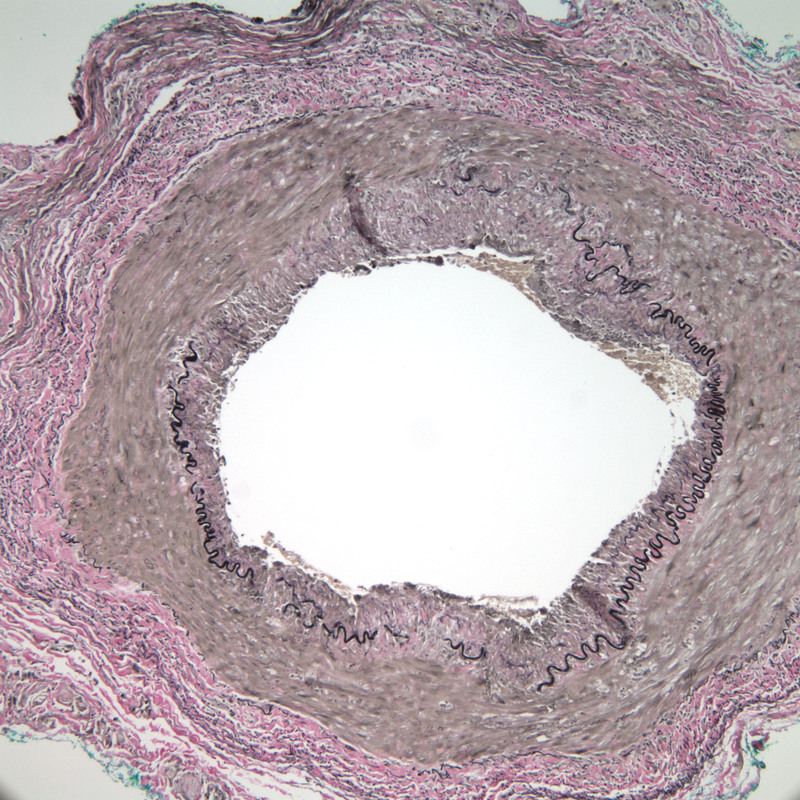 MICROSCOPIC DESCRIPTION: The intima is relatively unremarkable. 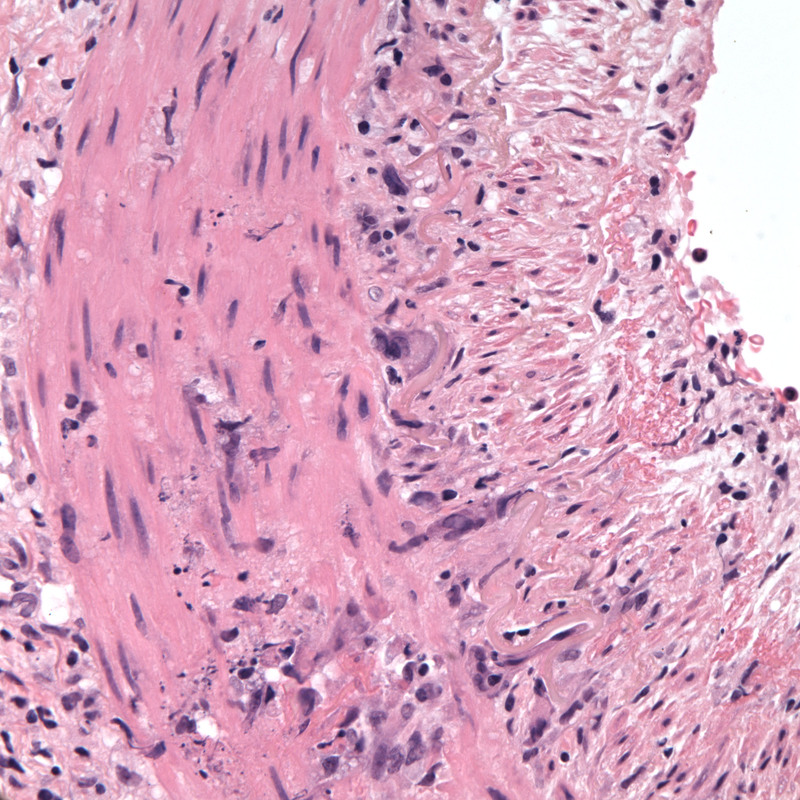 The muscularis layers and adventitial layers are infiltrated with lymphocytes and epithelioid histiocytes. 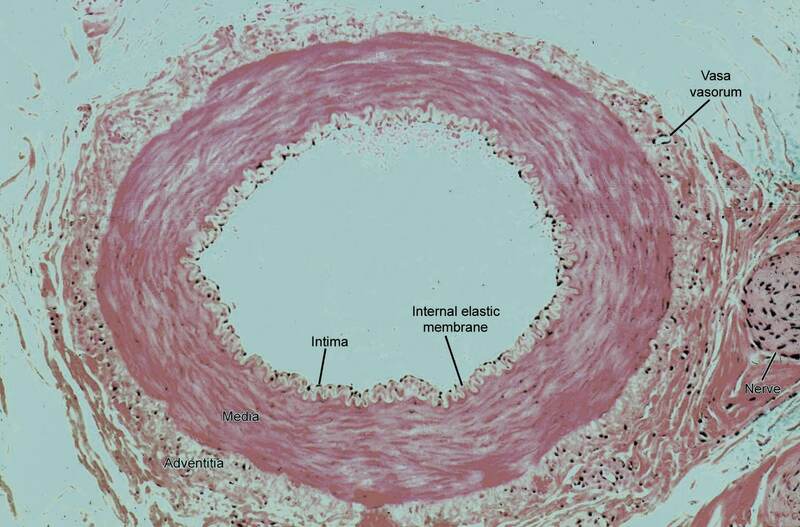 Many of these are adjacent to the internal elastic lamina. 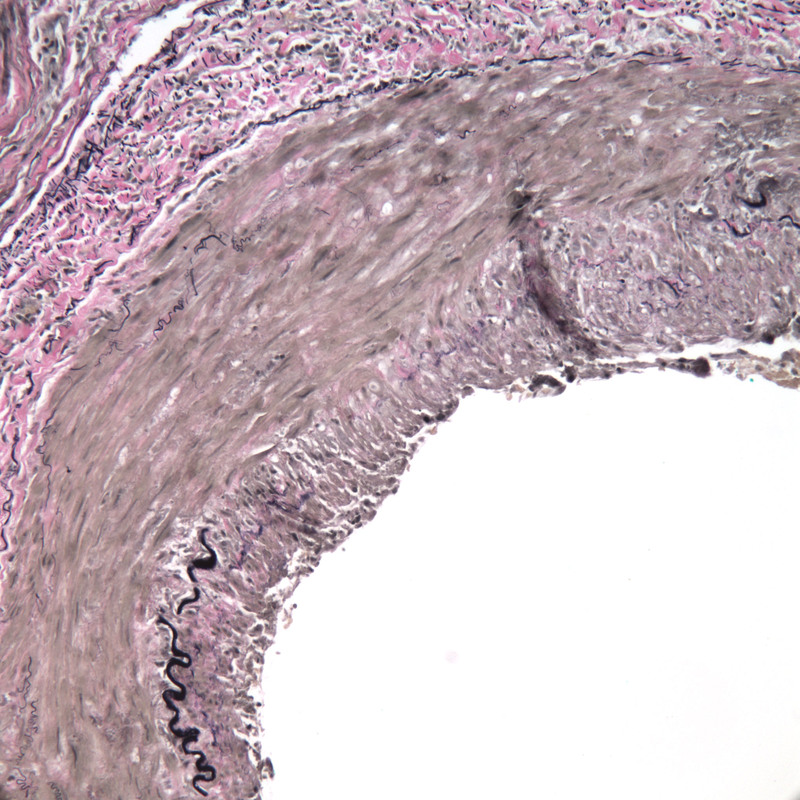 The lamina demonstrates mild disruption on elastic stain. 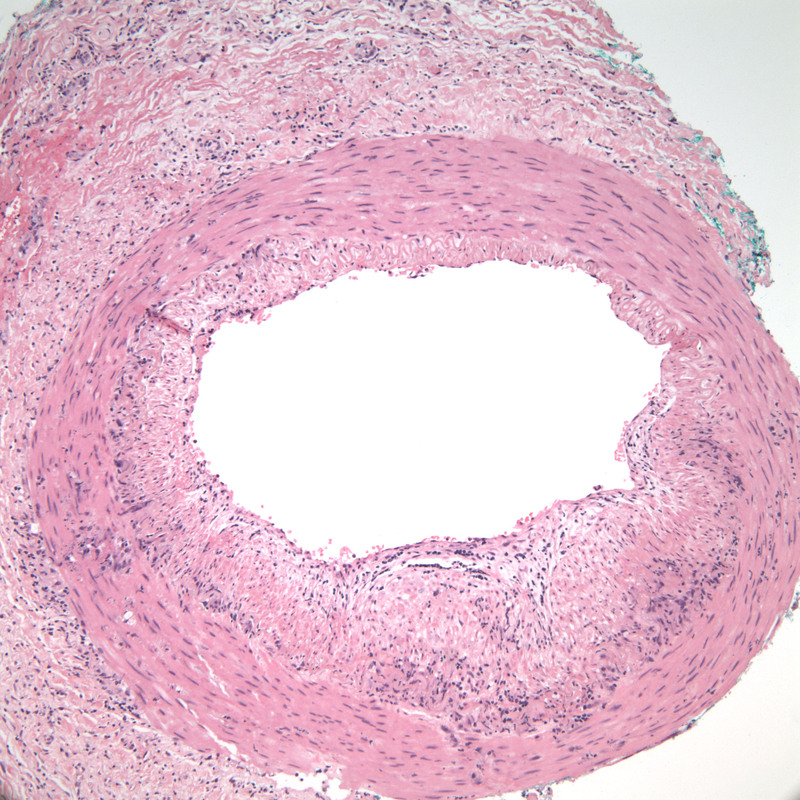 DIAGNOSIS: Granulomatous arteritis consistent with giant cell arteritis.